Yesterday is the election day where Jakarta citizens, including me, have to choose the next governor for 2012 - 2017. The result is not come out yet but from the Quick Count calculation, Jokowi is expected to win this election against Foke, the incumbent. A new Governor has elected, bringing new hope for a new-and hopefully better-Jakarta. 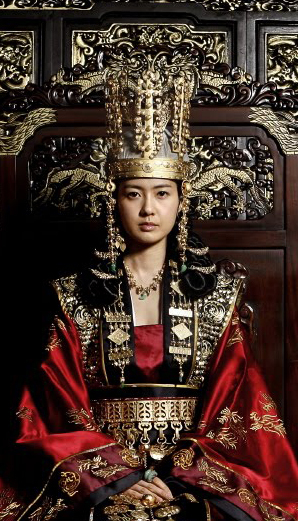 What is the connection between Queen Seon Deok and Jokowi, a soon-to-be Governor of Jakarta? Before I write further, let me tell you more about the background of Queen Seon Deok Story. That time Korea is divided to 3 big Kingdoms, Goguryeo, Bakjae and Silla. One day, Deok Man have to solve a riddle to win support from Moon No, the 8th leader of Hwarang Warriors. The riddle is about Silla's Ancestor biggest dream and she found out it was the unity of 3 kingdoms. That's really a big dream nee, because of course uniting 3 different kingdoms is not an easy task. But Deok Man insist that she could make that big dream a reality. When Moon No challenge her about how she could do it, she replied, "It's hope. I will be their hope. I will make all people in this kingdom have the same dream like me. Dream about a prosperous land to live. Dream about never have to worry when other kingdoms will attack Silla. The one and only way to make it happen is to unify the 3 kingdoms. I will ensure that every living people in Silla dream about this, always think about this. I will ensure that my people even breathe from this dream. That way I could lead them to make it reality". I really think that what she said is right. A good leader is not only have to good in managing his/her people but also give them "hope". Hope about a better future. Hope about a better live. This hope will bring them to act together and make it a reality. Actually, if you ask me what's the thing that this country need the most, I would answer it loudly. Hope. 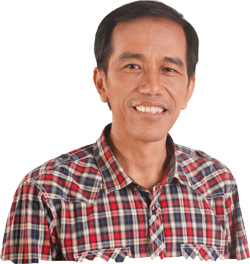 I think Jokowi could win this election because his figure bring a new hope for a better Jakarta. I'm not a big fan of Jokowi, but I sincerely hope that he could make improvement in Jakarta, especially the public transportation. Well, a city is a reflection of its citizens. So, let's support whoever Jakarta Governor will be to make this city a better one! let we see the future of jakarta..